It was an insanely gorgeous weekend, all the fruit trees converging for the grand finale of blossoms, which fell like pastel confetti all over the world. As I get older I realize I’m okay with not having anything particularly edgy or interesting to say; being happy about a sunny spring day seems like a fine aspiration. 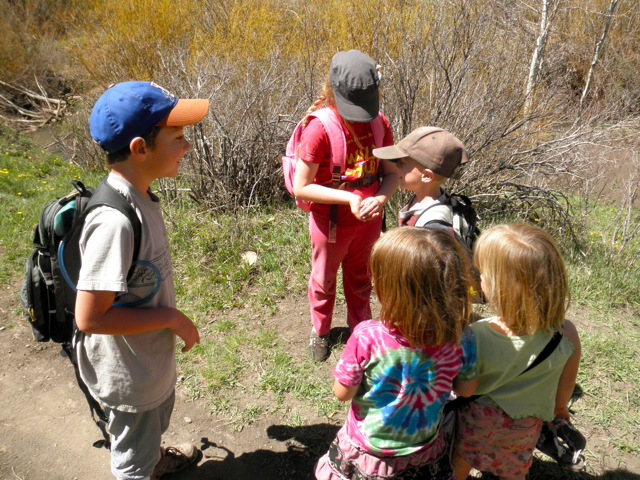 On a homeschool co-op hike, word leaked that Mathew’s dad, David, promised he would eat a grasshopper if his son caught one. Mathew enlisted Col, who promptly brought David a ginormous grasshopper, all chitinous and squirming, which David, having garnered an audience of small, rapt children, did the only reasonable thing: popped that insect in his mouth and chewed. Next thing, Col and Mathew are both clutching grasshoppers, circled by a small cheering crowd. The boys hemmed and hawed and giggled and stalled until finally someone shouted, “ONE…TWO…THREE!” And those kids, those funny, funny boys popped those suckers, live, into their mouths. Col chewed a bit before seeing Mathew’s grasshopper ejected right out of his mouth, then he too spit his out. I did give Col huge props for being an adventurous eater, formerly bestowed upon him for simply trying eggplant. 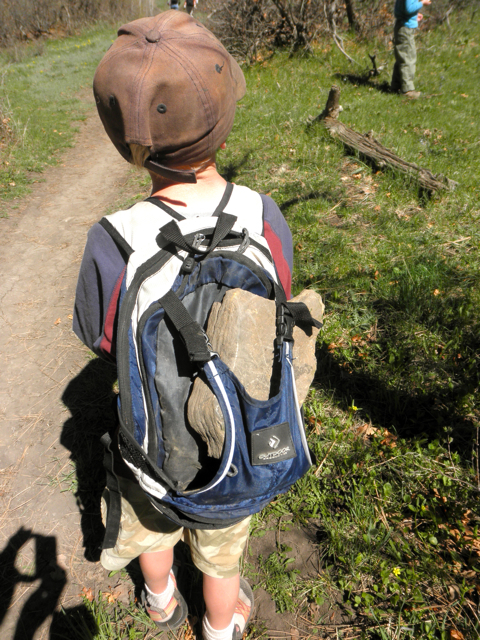 Col carried about ten pounds worth of fossils out of the woods. That camera-clicking hand on the bottom left corner. Oy. They must feel like the paparazzi’s always trailing them. 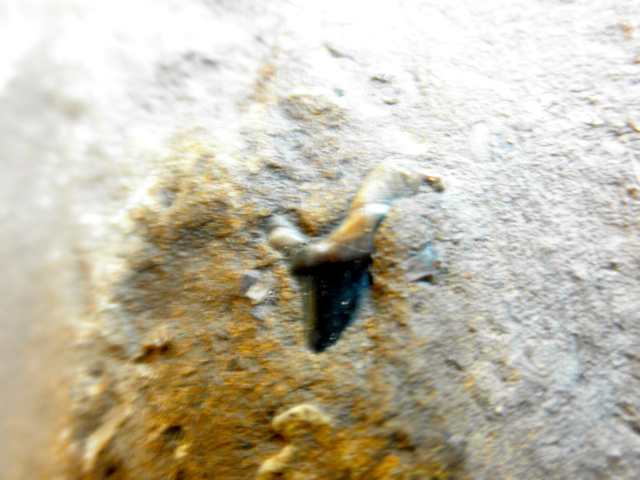 One of the rocks had a fossilized shark’s tooth embedded in the shale. A shark’s tooth! The excavation and study of which has trumped even legos all weekend. 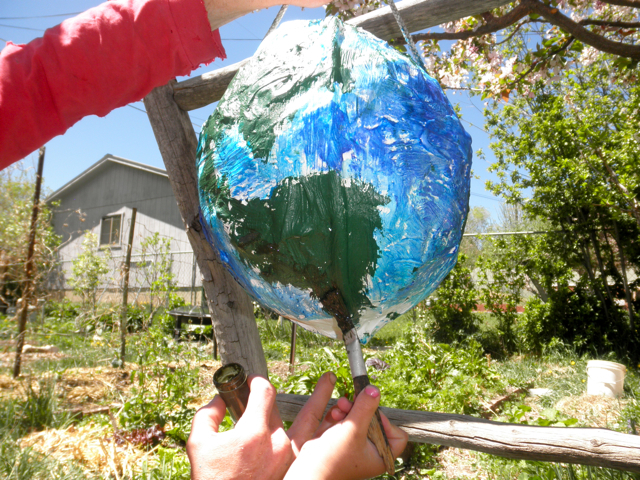 I finally turned the pinata over to Dan, and he saved it from being a lumpy alien head and turned it into a beautiful Earth. Col: I *like* messy projects! Me: I like wearing my bathrobe all day! 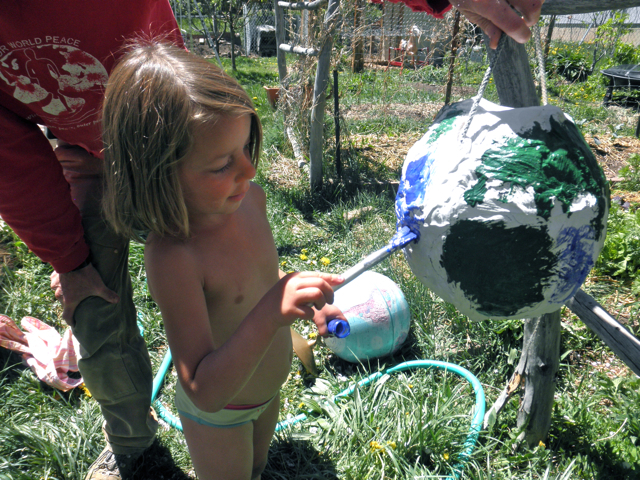 Dan even had the kids paint the mountain ranges. Here’s the Andes in South America, if you couldn’t tell. 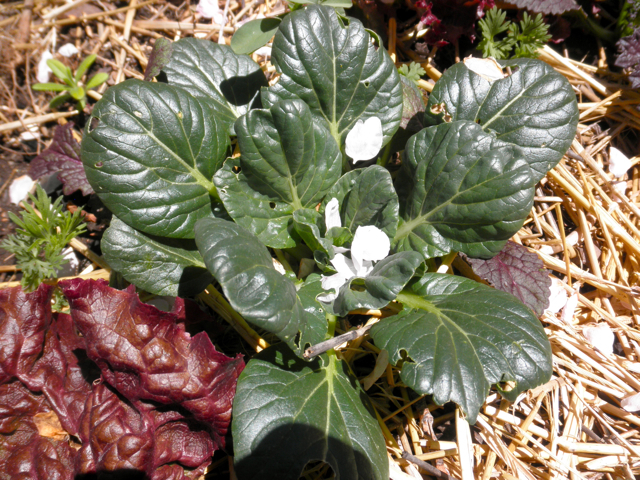 2) Energy nugget recipe starring Bertha, the manifested food processor! Bertha’s hanging out with our boom box, another very special machine in our lives. Go to the library and look for a book called “Man Eating Bugs” by Peter Menzel. It’s fabulous. Oh, and he suggests all insects should be cooked before eating, to make sure you kill off any parasites they might be harboring. Just saying. And hooray for the food processor. You will wonder how you ever lived without it. #1 sign that my father reads the comments on this blog: the call that came in asking me to make sure that Col cooks his insects *before* eating them. Love the pic of Col’s fossil finds. The shark tooth, wow. What a great find! Good save on the pinata. 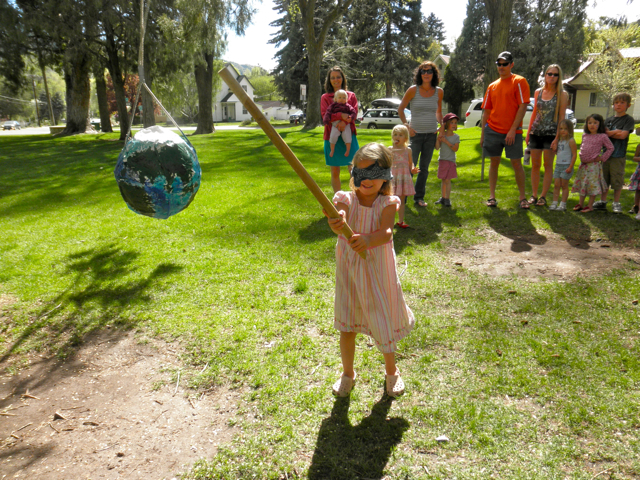 I haven’t met a kid yet who doesn’t love a pinata. You have a fantastic weblog here – one of those ones where you spend all morning reading the archives as soon as you discover it. I love your sense of humor. oh wow, grasshoppers. i’m not sure i could’ve done it. it’s protein though, right? 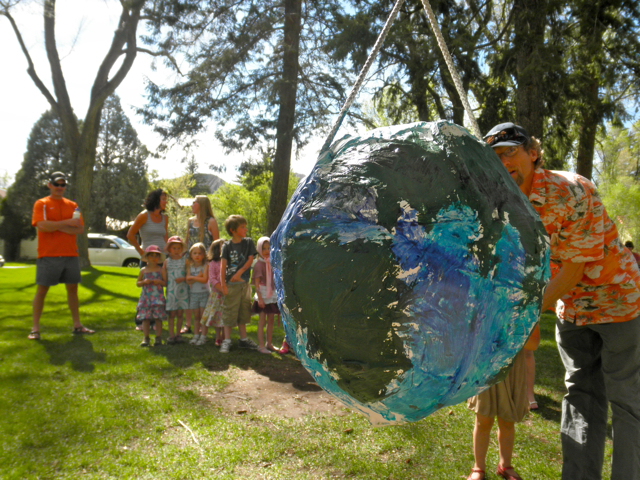 love your globe pinata. 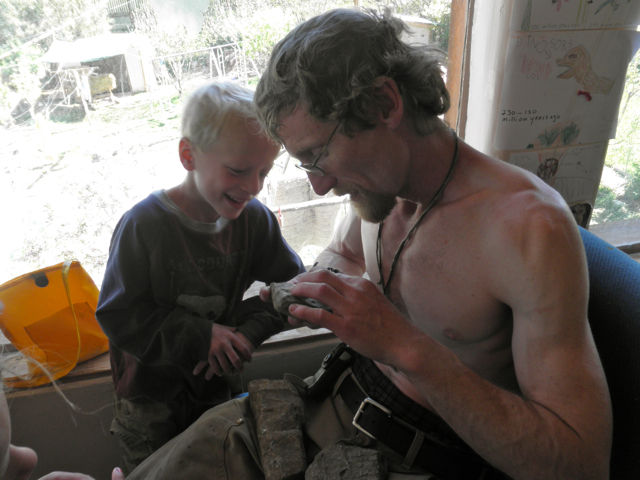 and the fossils are pretty awesome – especially the shark tooth. maybe col’s calling will be fossil hunter. You had a beautiful weekend. I love the pinata! hurary for bertha’s manifestation! and i agree 100% about weekend conversations about glorious weather, i would happily spend my days droning on about how nice it is out. 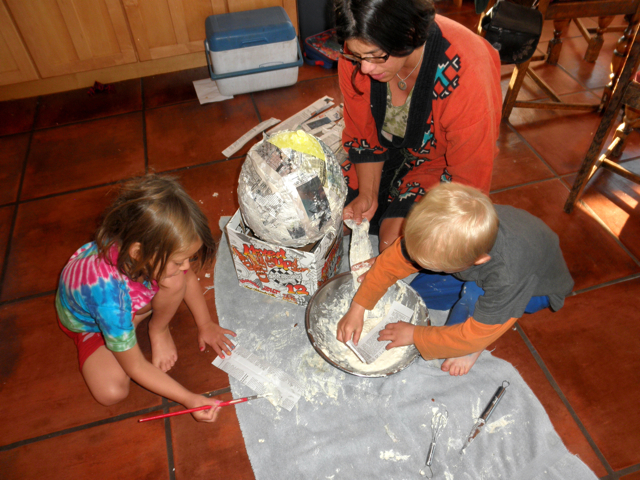 the grasshopper plug for homeschooling rocks. Awesome! Grasshopper snacks….meat group! While traveling in China I befriended a little boy, probably 5 years old who I couldn’t communicate verbally with at all since he spoke the Miao language (completely distinct from Chinese). He made me a lovely bracelet of LIVE grasshoppers strung onto a blade of grass and tied it around my wrist with their kicky little legs flailing about driving me bonkers! I definitely squealed like a little girl during the entire process. On a separate note: Did you happen to inherit that rockin’ bathrobe from a 413 Hill Street clothing swap? I’m pretty sure I scored that gem at the thrift store in Farmington, NM on an adventure with Farmer Dave. 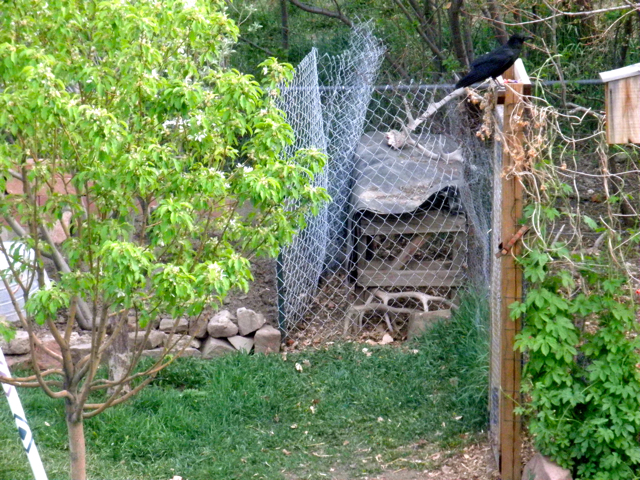 :) It’s almost impossible that there would be two of those awesome treasures inhabiting the same small town. A huge smile in my face knowing that you’re the lucky one who ended up with it!!!! Jaime – too funny! My memory is that you gave it to Dan and somehow I convinced him to give it to me. Grasshopper bracelet! Oh my! oatmeal and flaxseed pinata indeed! ha! 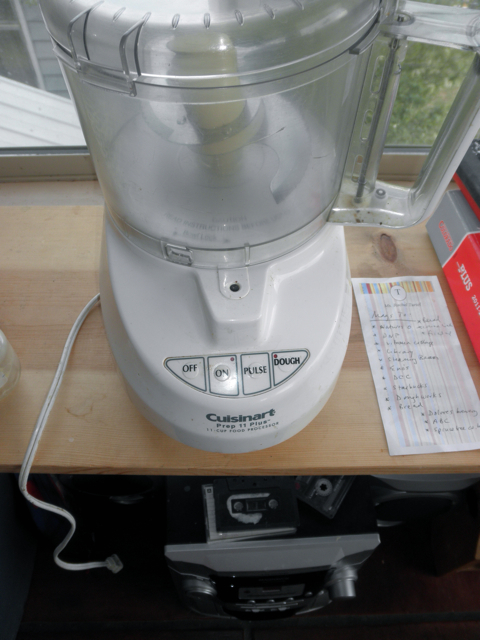 of course you manifested a food processor! if i were avi, I’d say, “told ja!” the kid can be a real know-it-all (: recipe soon please! see, this is what happens when you have a following; we get all demanding! happy birthday to your dear daughter! we celebrate the 2nd birthday of our second born in just 2.5 weeks! Yes, life is good. So good. Happy birthday to Lilit of the wonder-cheeks! What did you put in the pinata? I am thinking cheese without a wrapper wouldn’t cut it? We made up small bags of: hippie m’n’m’s (dye free), energy nuggets, yogurt covered almonds and hippie peanut butter cups.